A release from the Ministry of Finance and Energy, has advised that Digicel has won a bidding process for the installation of Electronic Tracking System devices in all government vehicles. This is consistent with Government’s Expenditure Reduction Measures and its stated target of reducing all non-personnel expenditure by at least 20%, as announced in the 2013 Budget and reinforced in the 2014 Budget. It is expected that the devices will be installed in all government vehicles assigned to the Ministry of Finance, the Ministerial Complex and the Royal Grenada Police Force, within 3 months. 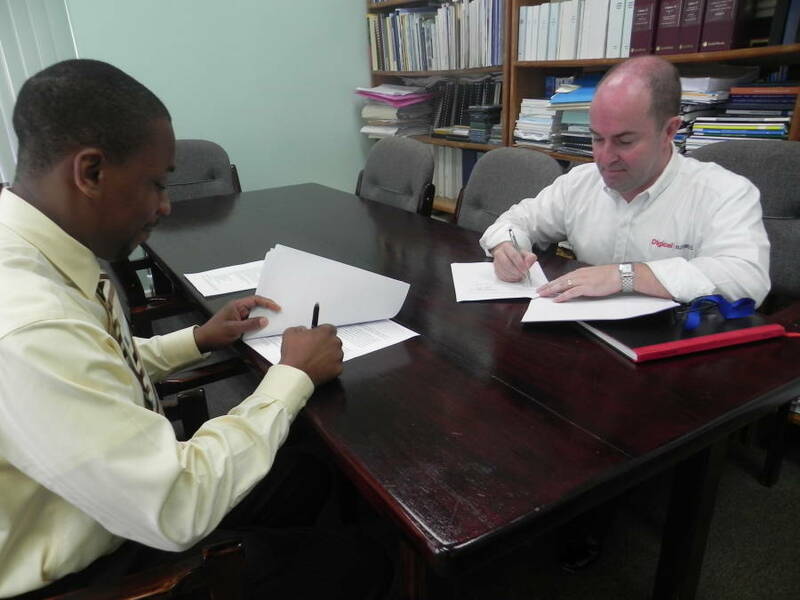 Timothy Antoine, Permanent Secretary in the Ministry of Finance and Energy, and Justin Boylan, Business Solutions Sales Manager, Digicel, signed the agreement on Tuesday 25 March 2014.